Former exhibit area of the museum. In 2006 the Museum Collection was in disarray and exposed to the sun. The Gananoque Museum operated from the late 1960s to 2000. During that time it gathered an impressive collection of over 4000 artifacts from pre-history to the 20th century. The museum fell on hard times and was forced to close in 2000. For several years the collection was neglected and nearly forgotten. No one was even sure what the museum contained. 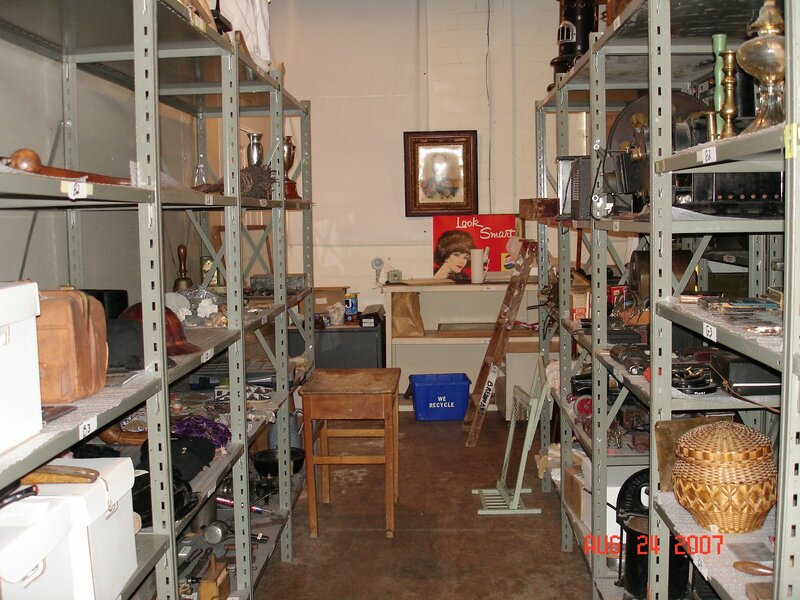 In 2006, fresh from completing my MA in Public History at Western University, I proposed and ran a municipally-funded project to explore and catalogue the collection and build a storage area to preserve the artifacts for future generations. This image shows the same room as above, now with shelving, location codes, and windows blacked out to preserve the artifacts. The Gananoque Museum Collection contains a fascinating and eclectic range of artifacts which reflect the history of the community and region. The Collection is still being researched, and artifacts are now exhibited by the Arthur Child Heritage Museum of the 1000 Islands. I kept a blog of the project which you can explore here.